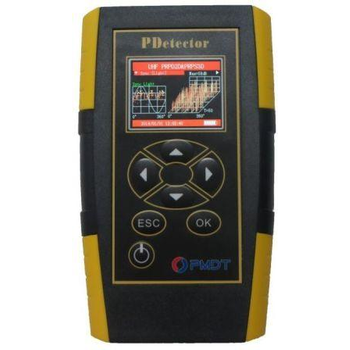 PDetector is the ideal partner for a condition based maintenance program by employing partial discharge detection. It integrates TEV, UHF, AE, Ultrasonic, and HFCT Sensors that offer additional condition assessment information and Health Indices (HI) for Medium and High Voltage Electrical Equipment. PDetector is the only handheld instrument with 5 sensor technologies in one instrument. This handheld device DETECTS the PD activity in numerical values and displays amplitude and period spectrums.